Ramadan is the ninth month of the Islamic Lunar calendar. It begins with the sighting of the new moon after which all physically mature and healthy Muslims are obliged to abstain from all food, drink, gum chewing, any kind of tobacco use as well as sexual contact between dawn and sunset. The month of Ramadan is a time for spiritual reflection, prayer, doing good deeds and spending time with family and friends. The fasting is intended to help teach Muslims self-discipline, self-restraint and generosity. It also reminds them of the suffering of the poor, who may rarely get to eat well. It is common to have one meal (known as the Suhoor), just before sunrise and another (known as Iftar), directly after sunset. Bahraini Wesal Mohammed Al A`amer started fasting at the age of 10. “I began to understand the concept of Ramadan at the age of nine and I was very interested in the whole fasting process, so my parents allowed me to fast everyday but for half-a-day only,” said the 30-year-old shop assistant. Fasting Ramadan is one of the five pillars of Islam. “I fast because I believe in my religion and have faith in God. 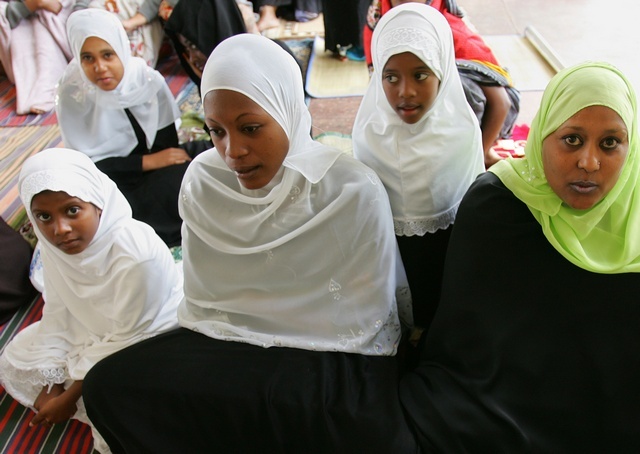 Ramadan is a very holy month where Muslims from all over the world get closer to their Creator,” she said. “My daily routine during the month is waking up in the morning, going to work, coming back home, preparing a meal for the Iftar time, praying, breaking my fast, spending time with my husband and my two girls, Latifa, aged eight and 10-year-old Najla, reading the Holy Quran, watching the television and going to bed. 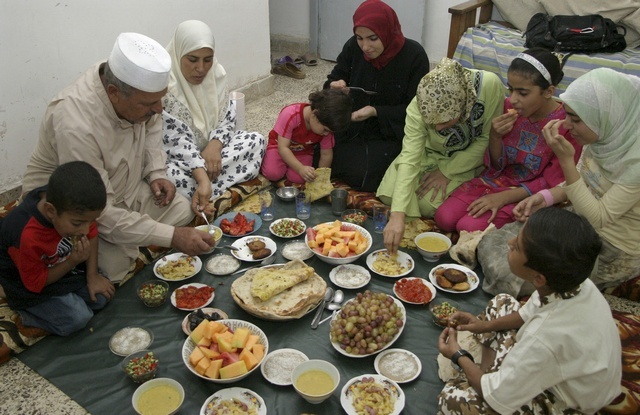 Ms Al A`amer said her little girls try to copy their parents by fasting most of the day. “They are two young to not eat or drink anything during the time of fasting so what they do is drink water if they are really thirsty but restrain themselves from eating as much as possible,” she said. Ms Al A`amer said Ramadan was a month she looks forward to every year. Her husband, 38-year-old Bahraini Yasser Mohammed Abdulrahman says he fasts because he chooses to. He said: “Nobody can force anyone to fast, Muslims fast because they choose to. “We wait the whole year for this one month because it means a lot to us, religiously, socially and spiritually,” said the Bahrain Airport employee. “I started fasting when I was in elementary school. Once you grow to understand the meaning of this month and practice it in the right way; you will find yourself in a whole different level. “I believe that Ramdan purifies your heart, soul and mind,” he said. Mr Abdulrahman said fasting doesn`t affect his job because he works in an indoor environment. “I am sure it would be very difficult for the people working on the streets especially during the summer time,” he said.